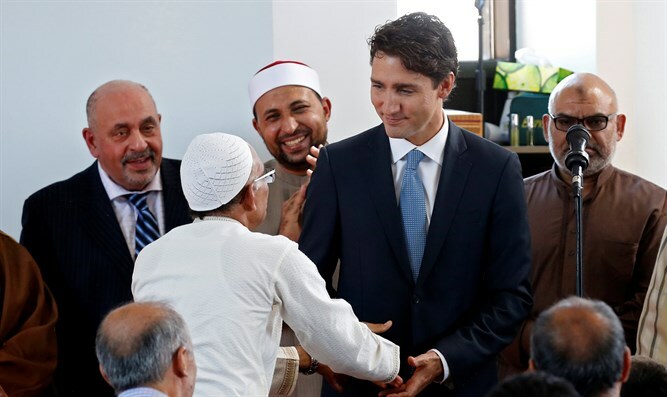 Justin Trudeau insists Islamic law isn't incompatible with democracy. The American Center for Democracy disagrees. Who's right? "I’ll tell you who wants to bring Sharia Law," Thompson said then. "The Canadian government wants to bring Sharia Law and this is not a joke. Why? Because Sharia Law is simply the way Muslims are doing things." Canadian Prime Minister Justin Trudeau told CBC in January 2016 that "Islam is not incompatible with Western secular democracy." In his book, Human Rights in Islam and Common Misconceptions, Abdul-Rahman al-Sheha writes that "the non-Muslim residents of an Islamic state are required to pay a minimal tax called 'Jizyah.'" He also notes that "Allah set the penalty of cutting the hand as a penalty for theft," and says that "if the robber kills and seizes the money, the punishment may be killing and crucifixion. If he takes money and threatens but does not kill or assault, the punishment may be amputation of his hand and leg. If he kills the victim but does not take his money, he may be executed as in murder." In a previous article, the ACD exposed a video on Muslim religious leaders' belief that LGBT individuals should be executed. In that article, ACD's Dr. Rachel Ehrenfeld noted that "the Islamists make no secret of their views. They promote them in mosques, public lectures, articles and books often distributed free in bookstores and on city street corners."